REGISTRATION FOR MAY 6th WILL OPEN SOON! Join my waitlist to get notified of my next round. 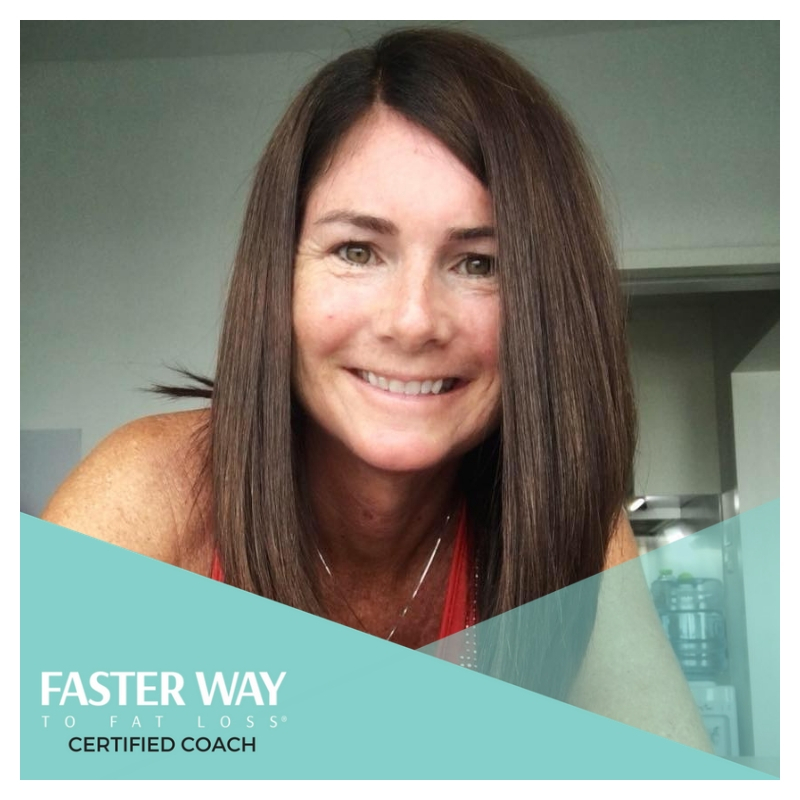 I am beyond thrilled to announce that I have taken my passion for health and wellness to the next level and have become a certified FASTer Way to Fat Loss® coach. 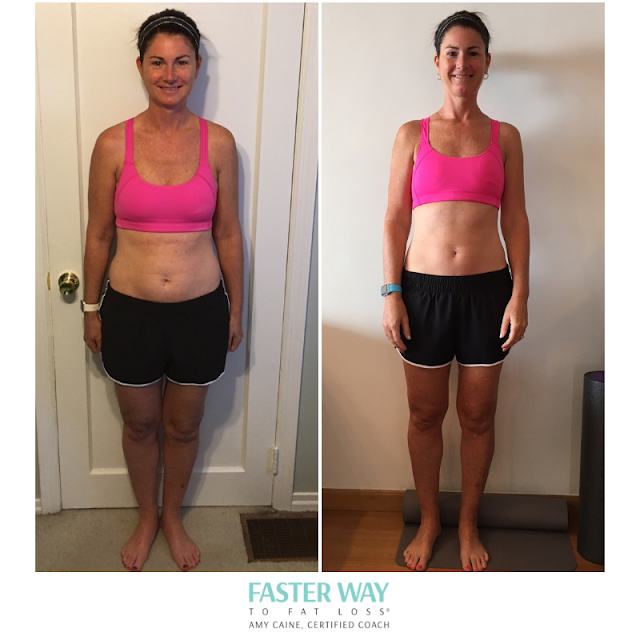 I had incredible results through the program and now want to empower others to get fit and healthy the FASTer Way. The FWTFL has transformed thousands of lives including my own and now I’m so excited for the opportunity to lead my own group of clients through this effective program. 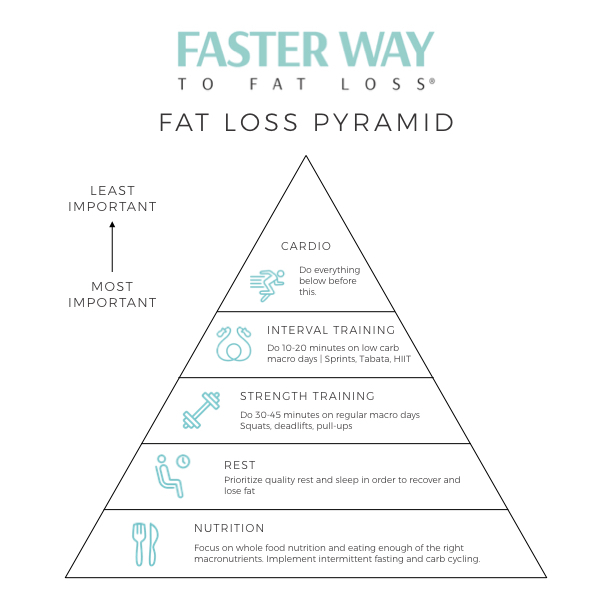 FASTer Way to Fat Loss is a premier online nutrition and fitness program designed to empower you to transform your life through straightforward nutrition and strategic workouts. We consume the right amount of the right foods through whole food, gluten-free, dairy-free nutrition. By pairing intermittent fasting and carb cycling to specific workouts, we teach you how to turn your body into a pro fat burner. There are no magic pills to take, no products to buy, no crazy meal plan to follow and no elimination of an entire macronutrient group. FASTer Way to Fat Loss is somewhere between a juice cleanse and a donut. Simple. 100% sustainable. Real food for real people who want to feel better, look better and want something that works with their every day lives. "I was very pleased with how my body transformed over the 7 weeks and truly feel this is a lifestyle and the exact lifestyle I’ve been looking for for so long." ~ AmberS. Join my waitlist to get notified when I open registration. I've put together a FREE Macros to Muscles Guide that introduces you to macronutrients and explains why understanding them is so important to fat loss! Get it here. Disclaimer: Please have your doctor's approval before starting an exercise program.